Nearly 3,000 home clothes dryer fires are reported each year, causing an estimated $35 million in property loss, according to the the U.S. Fire Administration. The leading cause of home clothes dryer fires is failure to clean them. But while dryer fires are generally preventable, homeowners may not know that they should be doing more than cleaning their dryer’s lint trap. Dave Lavalle, founder of Dryer Vent Wizard, says that although lint is extremely flammable and the most common cause of dryer fires, there are other sources of dryer fires. In addition to cleaning the lint filter after every load, Lavalle recommends keeping the laundry area clear of loose lint, clothing, and flammable products. Additionally, consumers should hand wash and line dry rags used for gasoline, acetone, or other flammable liquids as these items are combustible when mixed with heat from the dryer. What else should consumers be doing to reduce the chances of a dryer fire? Moreover, consumers should install code-compliant venting materials like rigid metal and flexible metal venting. Keep the laundry area free of lint, flammable materials, and loose clothing. Clean the lint filter screen after every load. Ensure the vent is clear of lint, leaves, snow, and debris. Have a proper pest cover installed to keep critters and lint out of the vent. 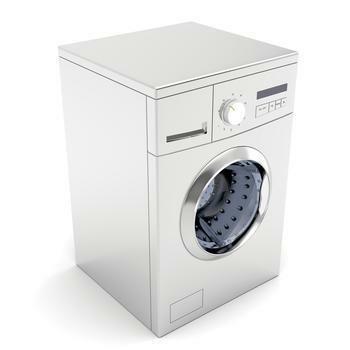 Avoid overloading the dryer, as an overloaded dryer can cause friction on a dryer's inner mechanisms which could spark and create a dryer fire. Do not run the dryer while asleep or away.